Originally posted by Dan Rutstein on 12.10.2014. Click here for the original article. 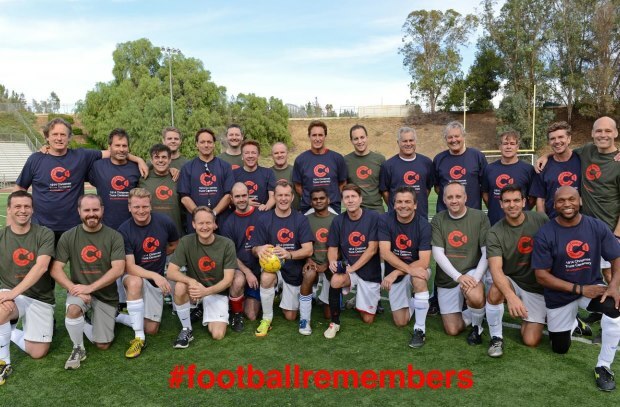 Only in Los Angeles would you get a former Gladiator, a TV presenter, actors and musicians on the same football pitch as venture capitalists, bankers, tax advisors and a member of the Royal Family. But that’s what happened here on a special day that saw football bring this disparate group together to commemorate the centenary of the Christmas Truce. With at least half a dozen of the players losing a grandparent, or great uncle in the First World War, it was poignant to be gathering on the other side of the world to pay our respects. On a day Prince William, the president of the Football Association who are spearheading the Football Remembers campaign, touched down on the East Coast, we gathered together on the West Coast. Our match, which began with a reading of excerpts of the Poet Laureate’s Christmas Truce poem, was a chance for a BAFTA-backed team to join the business and diplomatic community in remembering those that fell and the power of football to unite. The story of the Christmas Truce, thanks to matches like these and the campaign more widely, is now being told and retold to a wider audience. The message of peace and goodwill that was generated when the warring sides left their trenches for carol singing, football matches and to trade gifts not bullets is a valuable lesson in history. Embassies and consulates around the globe have organised events – football matches and educational seminars – to promote these messages of unity and goodwill, and of remembrance. 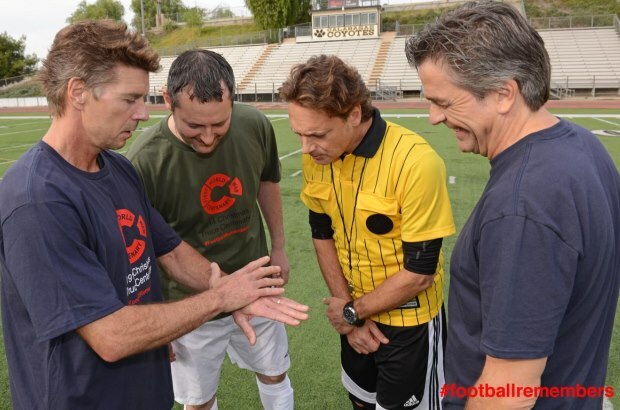 We did it in California by having a BAFTA/Hollywood team take on businessmen. The game ended 4-4, giving former England international, and now California resident, Barry Venison plenty of choice from which to select his goal of the match. Normally I spend my time working with exporters to the US and with American investors in the UK. And I use my blogs to write about this. And as, technically, BAFTA are involved with creative exports and the tax advisor on my team advises potential investors in the UK, I think this still qualifies. Sport is many things to many people but today it brought a cross-section of LA society together to remember something important. Our small contribution to a global message of unity and of commemoration.